3 corn tortillas stuffed with chicken, deep fried, topped with Jack cheese, special sauce, guacamole, lettuce, tomato & olives. Strips of Chicken breast grilled to perfection with sautéed onions & green peppers, garnished with tomato & lemon, served on a sizzling hot platter. Served with 3 tortillas, guacamole, cheese & sour cream. Includes a crisp corn taco, bean tostada, cheese & onion enchilada a tamale. 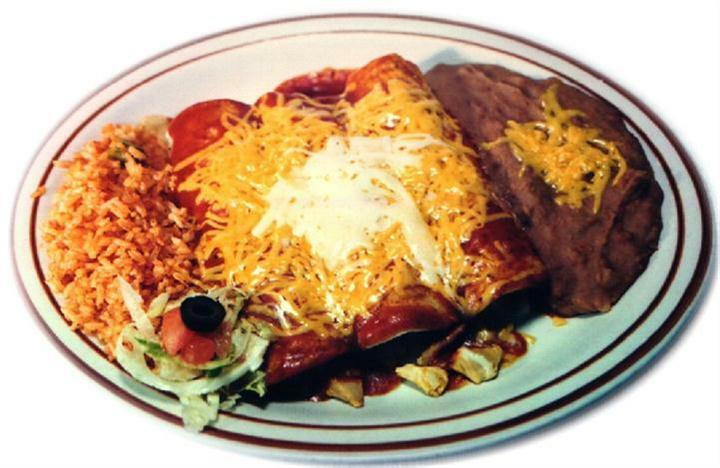 Includes a crisp corn taco, bean & beef tostada, cheese, onion & beef enchilada & a bean, beef & cheese burrito. 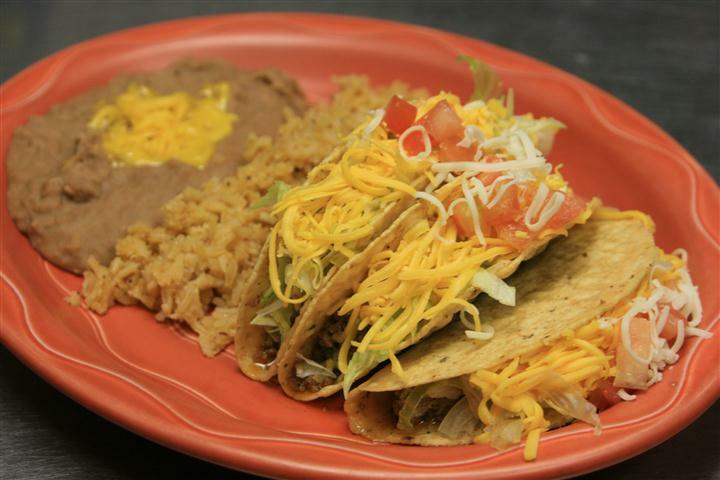 Flour tortillas layered with our homemade beans Spanish rice & our hearty chunky beef smothered with gravy & melted cheese.